The Heisman Memorial Trophy is awarded to most outstanding college football player in NCAA Division I every year. It is the most sought after individual trophy in all of college football, and has been awarded to some of the greatest football players of all-time. The award’s rich history goes back more than eighty years, to a time when it wasn’t even called the Heisman. 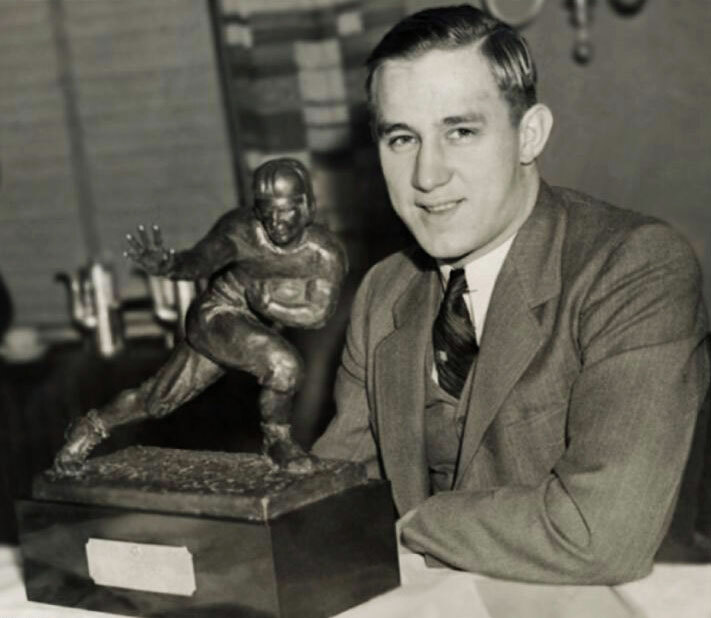 In 1935, Jay Berwanger was named the most outstanding collegiate football player and was awarded the Downtown Athletic Club Trophy. The trophy was renamed one year later, in honor of the club’s first athletic director, to the “John W. Heisman Memorial Trophy.” Today the award is simply known as The Heisman with millions of fans watching the annual award presentation in anticipation, hoping their favorite player will become a Heisman winner. Jay Berwanger and I have something quite important in common; we share the same alma mater. Though Berwanger competed in the Big Ten Conference, the school he and I attended is known more for its brains than its brawn: The University of Chicago. That’s right, the academic powerhouse with 89 affiliated Nobel laureates – where the atom was first split giving birth to the atomic age – boasts the first Heisman recipient. Berwanger was also the first player ever drafted into the National Football League, though he never played a down in the NFL. The University of Chicago was a founding member of the Big Ten Conference, and from 1892 to 1939, the school was a collegiate football powerhouse. “The Grand Old Man of the Midway,” Amos Alonzo Stagg, coached the team for an astounding forty years. However, after two national championships and seven conference championships, the school withdrew from the Big Ten. One of the world’s leading and most influential institutions of higher learning, the Maroons now compete in Division III football. One last trivia tidbit: Jay Berwanger is the only Heisman winner to be tackled by a future President of the United States!